Lately, certificate courses are more in demand than actual degree courses. Students want to take up certificate courses, so that they can get a job as soon as possible. Where a degree course, may take 3 to 4 years to complete, a certificate program can be completed within one year at the maximum. In addition the lengthy study procedure, the rising prices of college tuition, as well as the lack of existing jobs for graduates contribute towards a growing demand of certificate courses rather than college degrees. Thus, more and more learners are opting for an inexpensive and short certificate program in order to start with their vocational career as soon as possible and thus make it successful. We have jot down a list of the top 15 flexible vocational careers that you can take up as soon as possible. They do not require a college degree and can be started with just a certificate or short formal training. Moreover, the careers listed here are from different fields, such as contractor, HVAC, plumbing, etc., in order to suit the salary considerations, lifestyle, schedule, and interests of every student. In this list of the top 15 flexible vocational careers, we have taken the job growth and national salary data from the U.S. Bureau of Labor Statistics. Additionally, we have ranked the careers on the basis of their salary, with the highest salary earning vocational career coming at number one. Have a look at the top 15 flexible vocational careers. A contractor or construction manager is responsible for carrying out a variety of tasks related to construction of buildings. This includes planning, coordinating, budgeting, and supervising construction projects from the beginning till the end. Pay: The median pay of a contractor is $87,400 per year and $42.02 per hour. Education/training: In order to become a constructor, you must have a bachelor’s degree. However, if you do not have time or money, you can even do without it. Although, a bachelor’s degree will give you a competitive edge over others, it is not necessary. Job growth: 5%, that is as quick as the average for all jobs. Landscape designers or architects design parks and other outdoor spaces of recreational facilities, campuses, open areas, homes, etc. In addition, they prepare site plans, cost estimates, and specifications. Pay: The median pay of a landscape designer is $63,810 per year and $30.68 per hour. Education/training: Although, you must have a bachelor’s degree in order to pursue a career in landscape designing, if you do not have time or money, you can also do a certificate course in landscaping. However, most of the states require a license for landscape architects. You can also get experience through internship. Job growth: 5%, that is as quicker as the average for all jobs. Electricians are responsible for installing, maintaining, and repairing, electrical power, lighting, control systems, and communication systems in homes, factories, and businesses. Pay: The median pay of an electrician is $51,880 per year and $24.94 per hour. Education Ttraining: You can get an apprenticeship or attend a technical school in order to get a certificate in electrical training. Additionally, you should atleast have a high school diploma or equivalent education to become an electrician. 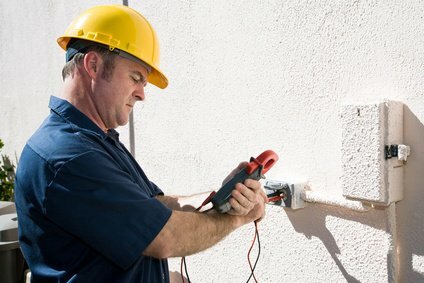 Most of the states require a license for electricians. Job growth: 14%, that is much quicker than the average for all jobs. A plumber is required to repair and install pipes that carry gases or liquids within, to, and from homes, factories, and businesses. Pay: The median pay of a plumber is $50,620 per year and $24.34 per hour. Job growth: 12%, that is quicker than the average for all jobs. 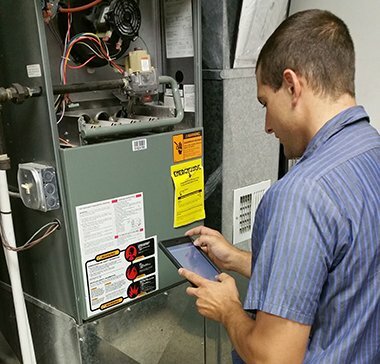 HVAC technicians work on Heating, Ventilation, Air Conditioning, and Refrigeration (HVACR) systems, which control the air quality and temperature in buildings. They design specifications to repair or install HVACR systems, install electric controls and wiring, as well as inspect, maintain and repair HVACR systems of customers. Pay: The median pay of HVAC technicians is $45,110 per year and $21.69 per hour. Education/training: Students should have completed atleast postsecondary education or an apprenticeship program in order to become HVAC technicians. Some localities and states require HVAC technicians to have a license. Job growth: 9%, that is much quicker than the average for all jobs. Diesel mechanics or service technicians inspect, overhaul, and repair trucks as well as buses. They also repair and maintain different types of diesel engines. Pay: The median pay of a diesel mechanic is $44,520 per year and $21.40 per hour. Education/training: You must have atleast a high school diploma or equivalent in order to become a diesel mechanic. Then, you can receive on the job training. However, if you want an edge over others, you must complete a postsecondary training program in diesel mechanic. Carpenters repair and construct building structures and frameworks, such as doorframes, stairways, partitions, rafters, bridge supports, etc., which are created with wood and other such materials. Carpenters also install drywall, siding, and kitchen cabinets. Pay: The median pay of a carpenter is $42,090 per year and $20.24 per hour. Education/training: Students should atleast have completed their high school diploma or equal education in order to become a carpenter. They can then get on the job training through a certificate course in carpentry. Job growth: 6%, that is as quicker as the average for all jobs. Commercial truck drivers drive trucks in order to transport goods from one place to another over intercity routes, which sometimes span several states. They legally drive commercial vehicles, including trucks, semi-trucks, tractor-trailers, and 18-wheeler vehicles. These vehicles have a GVW (Gross Vehicle Weight) capacity, which is the combined weight of the passengers, vehicle, as well as the cargo, of more than 26,000 pounds. Pay: The median pay of a commercial truck driver is $40,260 per year and $19.36 per hour. Education/training: In order to become a commercial truck drive, you must have a CDL (Commercial Driver License) class A license, for which you have to take your certificate vocational course in truck driving from a professional truck driving school. You also should have your high school diploma for this vocational career. Automotive detailers, also known as automotive body and glass repairers, restore, replace and refinish vehicle frames and bodies, window glass, and windshields. They ensure that a vehicle looks perfect, including the detailing and cleaning of the vehicle’s engine, interior maintenance and cleaning, dent repair, headlight renewal, etc. Pay: The median pay of an automotive detailer is $39,880 per year and $19.17 per hour. Education/training: A high school diploma or equivalent will do for becoming an automotive body and glass repairer. You can also enroll into a formal training program in automotive detailing for this career option. Job growth: 9%, that is quicker than the average for all jobs. Locksmiths are responsible for opening and repairing locks, keys, and other security systems that are used nowadays. They also change safe and lock combinations as well as repair and install safes. Pay: You can start up your own locksmithing business or work under someone who owns a locksmith shop. If you work under someone else, you earn a median pay of $39,160 per year. But, if you open your own locksmithing business, you can earn much more depending on your clients. Education/training: Although, the minimum requirement for becoming a locksmith is a high school diploma or equivalent, you can take an online locksmith certificate course in order to get acquainted with the many things involved in this career line. Job growth: It depends on your locksmithing abilities and how much clients you or the company under which you work has. Automotive mechanics or automotive service technicians maintain, repair, and inspect vehicles, such as light trucks and cars. They identify problems, plan work procedures, test systems and parts, and perform basic maintenance and care of mechanical systems. Pay: The median pay of an automotive mechanic is $37,850 per year and $18.20 per hour. Education/training: You must get a postsecondary non-degree award or a certificate from a technical college in order to become an automotive service technician. Appliance repair technicians or general maintenance and repair workers maintain, repair, and fix appliances, machines, and mechanical equipment. They also work on heating, air-conditioning, and electrical systems. They diagnose and inspect problems with these systems and execute regular preventive maintenance of machines. Pay: The median pay of an appliance repairer is $36,630 per year and $17.61 per hour. Education/training: You must have atleast a high school diploma or corresponding education to become an appliance repair technician. Motorcycle repair technicians or mechanics are responsible for maintaining and repairing motorcycles. They also diagnose, adjust, as well as overhaul motorcycles. And, not just motorcycles, they also do all this with scooters, dirt bikes, mopeds, and other related motorized vehicles. Pay: Students can either repair motorcycles at their own shop or work at someone else’s shop and then repair motorcycles. When you have your own shop, your pay depends on your motorcycle repairing abilities as well the number of people that come to your shop. And, if you work at someone else’s shop, you can earn a median pay of $36,240 per year and $17.42 per hour. Education/training: There is no degree or certificate required for motorcycle repairing. But, in order to succeed, you must complete a certificate course in motorcycle repair and get some on the job training too. Job growth: It depends on your motorcycle repairing abilities, the shop that employs you, or your own business skills. Small engine repair technicians or mechanics inspect, repair, maintain, as well as service small power equipment, such as chainsaws, weed eaters, lawnmowers, rot tillers, hedge trimmers, etc. They also inspect, diagnose, repair, and overhaul motorized power equipment, including motorboats, small dirt bikes, motorcycles, or outdoor power equipment. Generally, small engine repair technicians specialize in one equipment type or one kind of small engine and then they extend their career there. Pay: The median pay of a small engine repair mechanic is $34,650 per year and $16.66 per hour. Education/training: You can enter this career with a high school diploma or equivalent education. But, in order to get acquainted with the specific knowledge and on the job training related to this career, you must get a certificate course in small engine repair. Job growth: Depends on what career you choose in small engine repairing, whether you become a shop owner, do retail small engine repairing, or come into sales of small engines. As the name suggests, jewelry designers design jewelry, while using different metals and precious stones. They either open their own jewelry store or design it for another company. Pay: It depends on how well you design jewelry and whether you have your own jewelry store or work for someone else. Education/training: Although, it is not necessary to get a formal certificate for jewelry designing, it is still recommended that you get one in order to get an idea about jewelry designing. Otherwise, you can follow this career with a high school diploma or equal education too. Students can also receive on the job training for this field. Job growth: This depends on your ability to design jewelry. 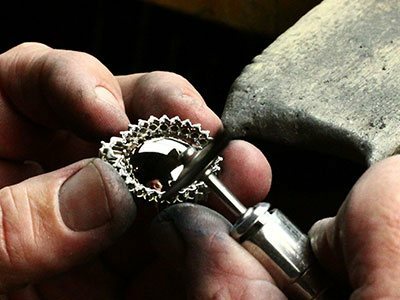 The better and more unique jewelry you design, the more you will be able to grow in your job.